... is the only English-language publication to date of the many books already on the German and Dutch market. "I am glad that this wise book has been translated and is now available for an English-speaking audience. It offers a series of accessible lessons about using encouragement in daily life. I hope you let these delightfully wise and simple teachings change your life and the lives of those you touch." "This book might well be characterized as 'conversations with a friend.' 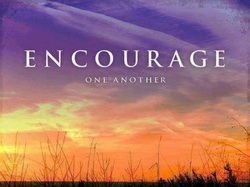 Rather than a work about encouragement, the author guides the reader through a process of encouragement. Theo Schoenaker captures the reader's attention by speaking to the heart from which all 'feelings of community' originate." Author Theo Schoenaker is a native of Holland who has lived in Germany for many years. There, based on his practice as a speech therapist, he developed encouragement training, eventually founding the Adler-Dreikurs Institute. R. John Huber, PhD, is a professor of psychology at Meredith College and a staff psychologist at Triangle Pastoral Counseling. Jutta Street, PhD, a native German, is a professor of psychology at Campbell University. Sandra Losa, BA, BS, is a native German and is currently a doctoral student in zoology at North Carolina State University.